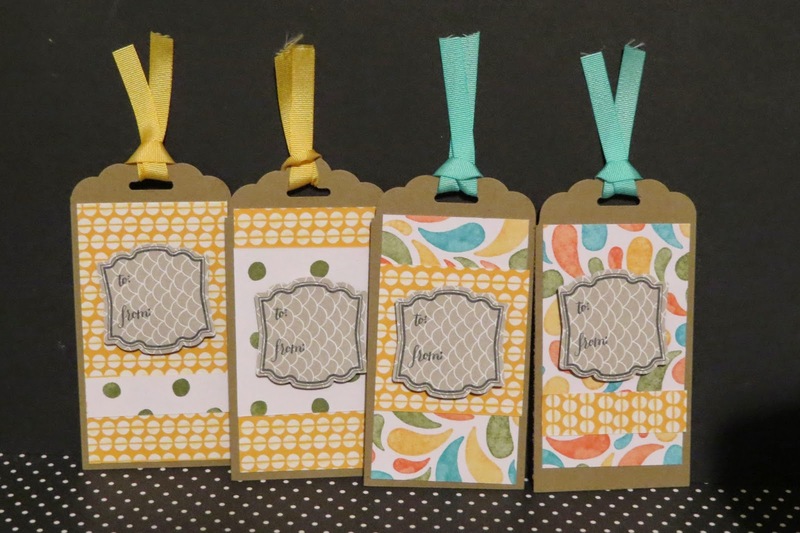 Karina's Kreations: Sale-a-bration Box and Tags! Sale-a-bration is still on for 1 more month and I wanted to share this cute project I got from my friend Nav. 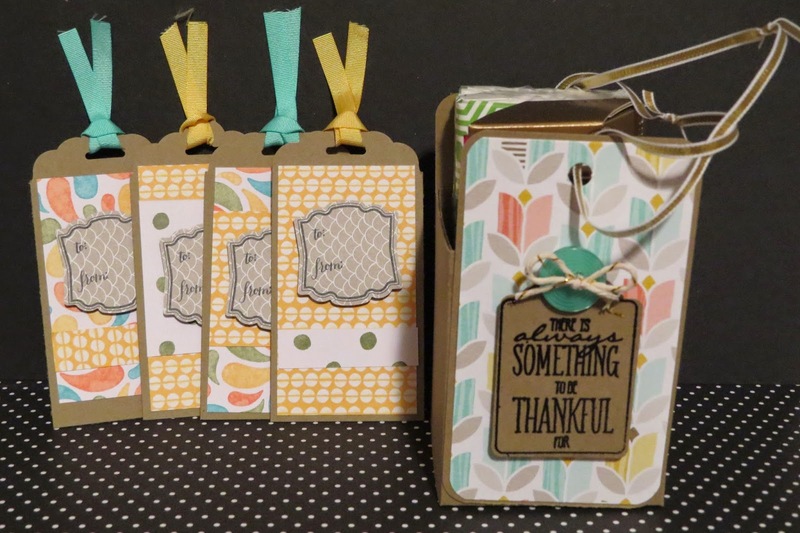 She used three sale-a-bration items in this project. She used the You Brighten My Day stamp set, Best Year Ever Designer Series Paper and the Best Year Ever Accessory Pack. 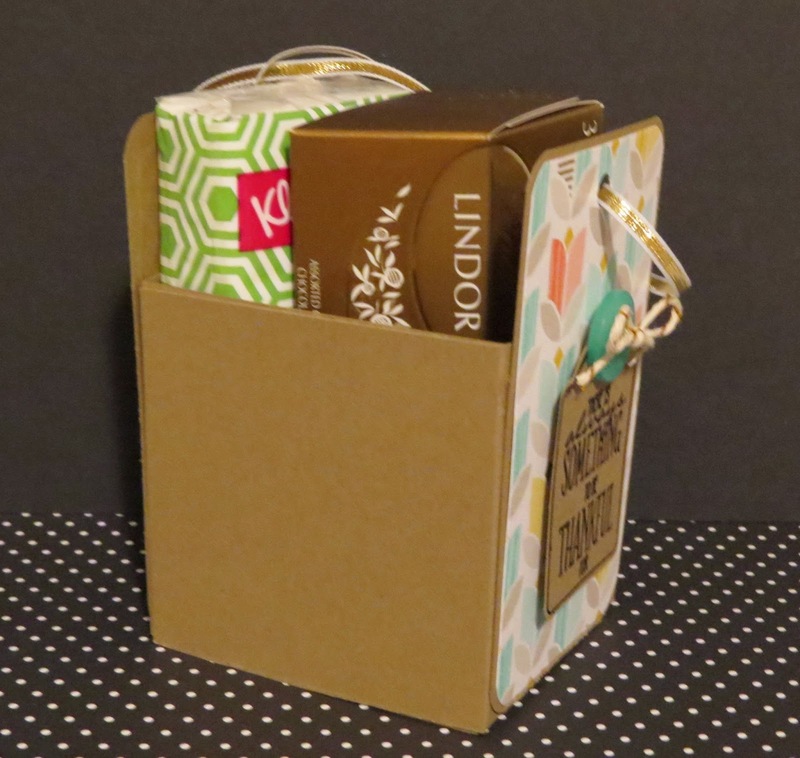 I love how this box is perfect for the tags, a small package of tissue and some Lint chocolate. I bet a gift card would fit in here too. If you want to play with some Sale-a-bration products come stamp with me next Friday March 6! I'm running a sale-a-bration class.